Opus Dei paid $977,000 to settle a sexual abuse claim in 2005 against Rev. 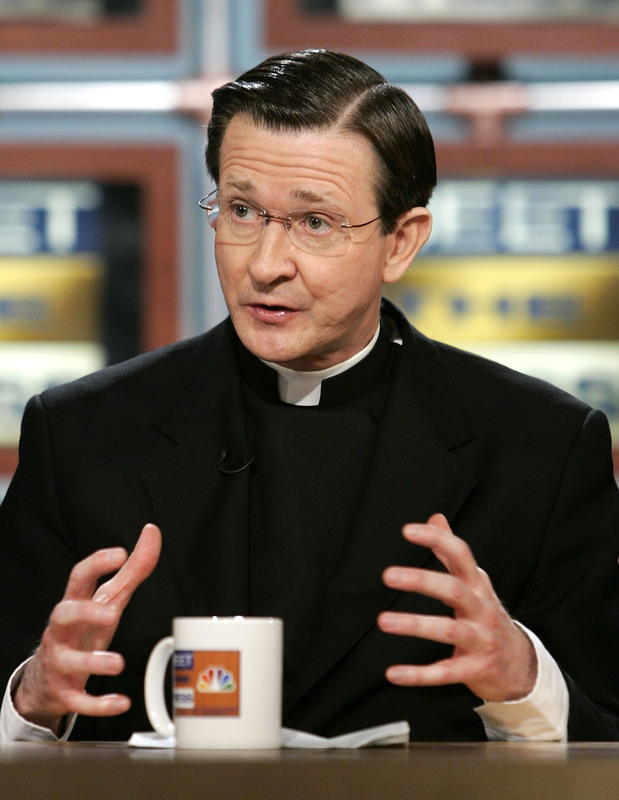 C. John McCloskey, a prominent D.C. priest, who prepared Sam Brownback, Newt Gingrich, and Larry Kudlow for conversion. She claimed the alleged sexual harassment exacerbated the problems for which she sought counseling and prevented her from being able to keep her high-end job. She then spoke of her feelings of guilt to McCloskey during confession, and he reportedly absolved her of what she believed was her sin. “I love Opus Dei but I was caught up in this coverup — I went to confession, thinking I did something to tempt this holy man to cross boundaries,” the woman told The Washington Post. Details of the woman’s complaint were not made public until Monday, but Bohlin said Opus Dei placed severe restrictions on McCloskey shortly after they received it. Bohlin revealed that Opus Dei investigated the complaint and subsequently removed McCloskey from his position. They further restricted his contact with women in the context of priestly services, according to The Associated Press. “What happened was deeply painful for the woman, and we are very sorry for all she suffered. A settlement was reached with her in 2005. She has remained in contact with our activities,” Bohlin said in a statement. Bohlin made the statement at the request of the woman with whom Opus Dei settled. She asked that the organization go public with information about the settlement in order to encourage any other potential victims to come forward. She said that a lack of clarity about McCloskey’s position since the settlement prompted her request, as she was concerned that he may have been given enough leeway to harm other women. McCloskey is now incapacitated with Alzheimer’s. Bohlin asked that Catholic faithful pray that God brings healing to the women who McCloskey reportedly harassed and to pray for McCloskey’s health. He also asked that anyone with information about instances of abuse from Opus Dei priests reach out to Opus Dei at 646-742-2741.